When I think of political extremists in the Philippines I think of the left, NPA, Bayan Muna and the Communist Party of the Philippines. I don’t know if there is a right wing extremist group, per se. Readers may be able to enlighten me on that. Or perhaps the right presently occupies the seats of government and are mislabeled “Liberal Party”. For sure, the established rulers are in bed with the Church and promote the ultra-conservative policies of privilege to big business owners, bank secrecy, no divorce, anti-abortion, and the like. They promote small government in the sense that they’d prefer that media be unregulated and local governments be strong. When I think of extremists in the U.S., I think of the Tea Party on the right and the Occupy movement on the left. An extremist to me is someone who is so far off the mainstream that he can only visualize progress in terms of destruction rather than change. A moderate understands that destruction is not a good thing, but debate and objection are the way change occurs. They foster positive, realistic proposals, not carping and criticism and negativity. Well, what has come clear during the recent U.S. debt fiasco when half the U.S. Congress (the Republican half) could not understand a simple message from the Office of the President (not from Obama personally but from the Office he must defend for the benefit of future presidents, Democrat and Republican): “don’t attach political conditions to financing bills; you are hurting America and Americans”. They gather large sums of money, push conservative causes, and run score cards on the existing office-holders. If a Republican legislator is not voting conservative enough for them, they peg that legislator for replacement in the next election and field a strong, conservative opponent. So “mild” conservatives get thrown out for the extremist type caricatured so beautifully by the ego-mad Texas Tea Party (Republican) representative, senator Ted Cruz. 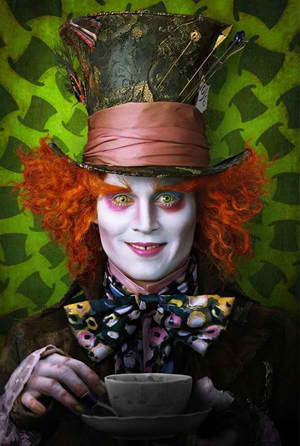 I can’t help but imagine Cruz as the Mad Hatter at the tea party in Alice in Wonderland. Republican congressmen are “running scared”, and voting scared, rather than for the good of the nation. So we get the lunatic stance of tacking politically controversial acts onto straight funding bills. Hostage taking. That got me to asking, okay, who backs Bayan Muna? How can this fringe group always end up getting an antagonistic quote into every major political story? They are inconsequential, policy wise, because no one takes them seriously. But their voice is oh, so loud. Disproportionately, destructively, loud. Who backs them? Who keeps such lunatic, adversarial, fringe thinking relevant? Here’s a bit of framing on the issue. The Bayan Muna political party was established in 1999 with the aim of promoting the “people’s welfare” above all other interests. The Wiki link explains in more detail. The party Chairperson at the time was Dr. Reynaldo Lesaca, Jr. and party President was Satur Ocampo. They remain in place now, 14 years later, and have been joined at the helm by House Representative Ted Casiño as Vice Chairman. Satur Ocampo by trade is a revolutionary. He worked underground in opposition to President Marcos from 1973 to 1986 when Marcos fell. He was captured and tortured in 1976 and held in prison until 1985 when he escaped. However, he again went into hiding after 18 farmers were killed at a rally near the Malacañan Palace in 1987. He was re-arrested in 1989 and freed without charges in 1992. He was detained in 2007 on a murder charge associated with a 1984 communist purge in Leyte, but released on bail. He’s a hard-core rabble-rouser. Reynaldo Lesaca is a psychiatrist and Chairperson Emeritus of Health Alliance for Democracy. He is a rabble-rouser wearing the halo typically assigned to medical doctors. He is frequently in the news offering up critical comments of the current government. In July last year , Dr. Reynaldo Lesaca Jr., a respected psychiatrist at the National Kidney and Transplant Institute and chairperson emeritus of the Health Alliance for Democracy (HEAD), filed a complaint before the CHR regarding his inclusion, together with four Davao-based doctors, in the military’s “Order of Battle” thus making him vulnerable to being targeted for “neutralization” by military and paramilitary “death squads”. So the Doctor is in the house and he is a lightning rod for conflict. Health Alliance for Democracy is composed of individuals from the health sector who adhere to the principles of the Filipino people’s struggle for sovereignty and democracy. It advocates and works for a society where the promotion of the people’s economic, social and cultural rights will bring about national prosperity and well-being. The group struggles for a society where the State ensures the effective delivery of basic social services especially to the basic masses. It pushes for a quality health care system that is mass-based, scientific, and free from foreign and local monopoly control. Key words are “mass-based” and “free from foreign and local monopoly control”. These then are socialist doctors opposed to capitalist enterprise. They are so uber-nationalistic that they would likely deny Filipinos medical care if it were from foreign sources deemed having some kind of “monopoly control”. We can guess that much of Bayan Muna’s core funding comes from these leftist doctors. The Health Alliance for Democracy is the Philippine counterpart to Freedom Works and Heritage Action counterparts, leftist in leaning. “Monopoly control” seems to be defined as “anything big that we don’t like”. It doesn’t really mean controlling the marketplace. I’d imagine they make use of the Humpty Dumpty New World Dictionary, Radical Version published 1952 under the auspices of Chairman Mao, and the term “monopoly” loses its technical definition in favor of a demeaning slant on “big and successful”. Interestingly enough, Bayan Muna does not really have much of a public funding base. For the 2010 elections, the leftist Akbayan political party collected P112 million in campaign donations. Bayan Muna collected only P1.26 million. The Party tried to get Teddy Casiño elected to the Senate in 2013. Casiño raised P9 million and spent P12 million on the campaign, ending up in debt about P3 million. The candidacy failed as Casiño finished 22nd with 4,295,151 votes. Casiño along with Risa Honteveros were criticized by the Philippine Center for Investigative Journalism (PCIJ) for having contributed personally to their campaigns more than their stated SALN net worth. Casino gave his campaign P950,000 but declared a net worth of only P446, 390 in December of 2012. PCIJ argues that laws need to be passed that require candidates to state the real sources of their campaign money. Rep. Neri Colmenare is the other Bayan Muna congressman. Here is the track record for Bayan Muna elected representatives. It shows a clear declining influence. In 2012, Bayan Muna representatives received P124.775 million of which P70 million was allocated to Colmenares and P55 million to Casiño. For 2013, Bayan Muna is receiving P95.725 million. Of that, P50.375 million is allocated to Colmenares and P45.350 million to Casiño. It is this money that Bayan Muna uses to provide medical care and other community services, and loudly publicize its work on behalf of the “People”. And we fund the platform Bayan Muna uses to undermine government deeds. This is very similar to the Tea Party’s relentless attack on American government. Extremes join when the goal is to destroy. I suspect that the diminishing influence of Bayan Muna comes from a growing awareness that Bayan Muna is ideologically aligned with extortionist murderers of the NPA ilk. 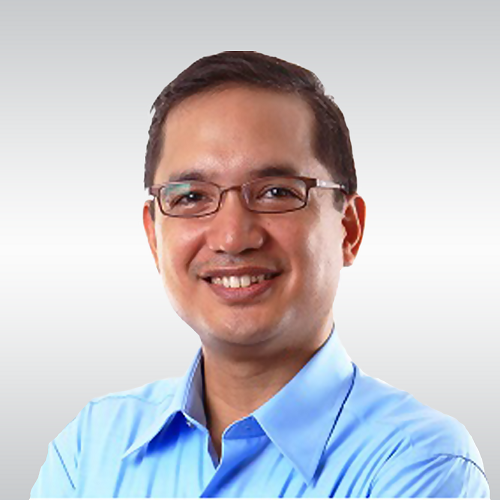 Teddy Casiño has crafted a response to ten questions that essentially define his advocacy. It treads the very dicey line between support of rebels and responsible advocacy. His answer to the following question represents the tippy toeing Bayan Muna does, one part complaint and one part rationalization that is, in the end, meaningless. It is meaningless because the rebels they support are extortionists first and political advocates last. Well, suggestions are not really positive unless they are pragmatic. That is, they can be implemented to the good of the Philippines. And that is the main failing of Bayan Muna. They remain impractical idealists intent upon undermining stability. To their credit, they are excellent marketing people and rebels. They are quick with the phone call to reporters during any political incident to gain a loud voice for their propaganda. And reporters love the controversy they stir up. So you will usually find that any rough patch experienced by the existing government is accompanied by a howling Bayan Muna complainer quoted front and center. Making sure the Philippines is a negative, divided place. And as long as Bayan Muna has a presence in the media far outsized for their real influence, we will also know Philippine media angle for easy sensationalism rather than fact or keen awareness that they are being manipulated. And for sure, we know that Bayan Muna is not really representing “the people” as much as a set of doctors with leftist leanings. And one would have to seriously question if they even know what is best for the Philippines. Destructive strife or constructive advocacy? It is a choice. A decision. A reflection of values. 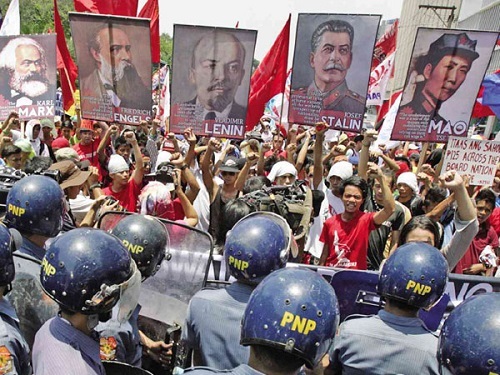 The Philippine Left gained traction during the Marcos years up to the time of Cory, when repression and massive corruption drove many to feel sympathetic to them since they were largely the only force to be consistent and strident enough to keep on fighting the Marcos regime. Take note that people did not really know or understand Marxism-Leninism-Maoism and their plan to establish a one-party run govt, a centrally planned economy and alignment with China and Russia. But Ninoy’s murder and the emergence of Cory effectively sidelined them, and their call for a boycott of the snap elections of 86 was a strategic blunder. Since then, they have struggled to remain relevant. Their slogans of the three evils of society – the three “ïsms” have been retired. Their patrons in China and Russia have changed tracks, and the Cold War ended. It is ideologically adrift, and wandering aimlessly while regurgitating their old agitation-propaganda. Where do their funds come from? Obviously, it is not much, otherwise you would have seen an upgrade in their arms and activities. Corruption within? Likely. Do the pork barrel funds of the Bayan Muna congressmen really go to legitimate recipients? It should be checked. The tragedy in US politics is that the tea party has turned politics into a religion, and all who oppose who them are seen as enemies. Locally, we really dont have an extremist right wing group, although certain individuals (Tatad, etc) will fit into the mold. Thanks for the background, Andrew. It is interesting to me that Bayan Muna leaders, so steeped in doing things as they have always done them, can’t read the handwriting on the wall as clearly as you state here . . . and change their approach to become constructive participants in government. Working sincerely to get better care for the people on the agenda. That said, however, I look over the budget that was just passed by the House (with amounts largely as requested by the President), and the departments getting more money are generally those that take care of people. Bayan Muna leaders would not ever recognize that however, because their main mission is to destroy. Not to build. It is doubly shameful because they “aid and abet” the violent extortionists by making their message so sharp and challenging. They contribute to the harms taking place in the name of ideology. In my experience too many Filipinos sympathize with the extreme left without understanding the Ideology behind it. Today is the anniversary of our revolution against the communist. It all started in October 23, 1965. To all Filipinos I’d like to recommend this video and learn why we did it. I hope that it will make you think or rethink. I don’t know. I even don’t dare to admit that I sometimes struggle with democracy. Especially now, while reading “The Price of Inequality” by (Noble Prize winner 2001) J.Stiglitz. Inequality is the result of politics, not economics. Is democracy the most appropriate system when obvious injustices have to be adjusted? Since the Spanish times the poor are extorted by the very small ruling class. What are the fundamental changes over the last 50 years? What will fundamentally change with Napoles in jail? Bayan Muna tries to offer something different. Imperfect just as the current system. But at least some wonder why some doctors down in the province have to try to save a live with a 100 peso budget while others in Macati or Alabang can spent 100,000 peso on a little cosmetic intervention. My feeling is that in their thinking they are less selfish than many in the Liberal Party. Shouldn’t the focus of our criticism not be the small elite supporting the Enrile’s and Estrada’s of this world to perpetuate their asocial agenda? And yes, on a normal day I think that the progressive path taken by this President is the only feasible one, but is so slow and so easy to be hijacked again by the ruling class he belongs to. Very good counter argument. Actually, America is proving that democracy can be a very nasty beast and maybe even be incapable of working in the nation’s best interest for a long haul. Perhaps it eventually breaks down into incivility as checks and balances give way to angers. If we started with a given, that “all leaders are good and all leaders are competent”, then I’d argue that the best government structure is corporate-style governance, a president with lots of power handling the operations and reporting to a board of perhaps 12 people who craft the strategies and the rulebook. This is preferential to a dictatorship because two heads are better than one. A dictator tends to believe the kiss-ups seeking favor and goes off on tangents. I still say Bayan Muna would be better for the Philippines if they absolutely disowned the militants in the field and focused their arguments on the intellectual points like you have raised. They’d probably become more popular and more able to influence the direction of government policy. Right now their criticisms are often so predictable, negative and limited in perspective that they go into the bucket of irrelevance. Very interesting article…. one thing to consider though about the decline in Bayan’s influence. Since there is a limit of 3 representatives per party-list, Bayan tried to maximize its number of legislators by splitting into several parties that include Gabriela, Anakpawis, ACT, and Kabataan and their total vote is about 9%. One key take-away is that many do to exercise to vote for party-list representatives. As such, as more people vote for party-list, the percentage taken by Bayan’s coalition will decrease. Thanks for popping over from Rappler CP. Thanks as well for the perspective on the group of parties that make up the broader left. I wasn’t aware of the split but it makes sense. So I’m guessing maybe the percentage is not down as dramatically as I portrayed. I focused on Bayan Muna because if there is an issue they are out front spouting a condemnation of President Aquino. I’ll have to broaden the look. I’m struck by how the US and Philippines are alike in that regard, an extreme on the right and left, respectively, seeking to “bring down” the established and duly elected President. Hey Joe… About the parallelism between Bayan and the Tea Party, I can see one big difference. The Tea Party wants a small government and lower taxes. Bayan wants to lower taxes and have bigger government (e.g., bigger subsidy on things). Case in point is the sin tax law. Former Rep Casino voted against the measure. Another case is the tax on petroleum products – Bayan/Gabriela/KMP/KMU/KSP are against it. The problem with Bayan’s stance on taxes vis-a-vis bigger government (e.g., education, healthcare, utilities like MRT) is that it is internally inconsistent. The government earns through taxes and such revenues are spent to provide for government services be it education, healthcare, and other things. Therefore, to have a bigger government, higher taxes is a necessity. What this means is that if the government were to follow Bayan’s policies of lower taxes and bigger government, the government will be bankrupt in no time. In short, what Bayan advocate is not grounded on reality. What I am unsure of is whether Bayan actually believe what they advocate or they are just fooling everybody else. There is something quite contradicting about Dr. Lesaca’s present employment and his advocacy for a “mass based, scientific and free from foreign and local monopoly control’ effective delivery of social services. He is hallucinating while earning a handsome salary which I guess does not go to the alliance he loves so much. The National Kidney and Transplant Institute had been employing scientific Western technology ever since it was established so it is a monopoly controlled by Big Pharma and the Federal Drug Administration which is a United States government agency. The methodology of transplant and dialysis came from foreign countries which are not also communists. That is one reason I became disenchanted with the movement. Their leaders had remained steadfast followers of an ideology that had been emphasizing cheap or free social services for the poor but at the same time embracing technologies that had left so many people reeling in abject poverty by processes that are costly and inefficient. Dr. Lesaca should have his head examined. The left in our midst will just remain like it had been for quite a long time – inconsequential and irrelevant – because its leadership could not and would not accept the fact that the people of this country are very much different from South American countries whose governments are now either communists or socialists. The sources of its funds come from extortion, plain and simple, since the core of its leadership are educated professionals who have no understanding of how the working class sweat it out the whole year round to eke out a decent living and they have no experience whatsoever of any work that borders on the menial and conditions that are considered subhuman. They are more like the leaders of this government that they had tried mighty hard to destroy and change because they had long envisioned themselves as leaders, never as followers, of the new order of life they failed to establish. Ahahahaha, “Dr. Lecasa should have his head examined.” That’s funny. I imagine him looking in the mirror and not being able to figure it out. That’s interesting, you figure they try to emulate South American rebel-style countries? I hadn’t thought of that, but it does seem to be their style, the 1950’s commie patter and ever-ripping at the enterprises that generate wealth. And good health. Like those big Pharma companies. I figure big Pharma is keeping me alive with my blood pressure medications. With leadership like theirs, who wants them as leaders, eh? I would be careful in judging motives and character. Give me anecdotes and facts not just an emotional opinion. As other extremists, they have a lot in common with missionaries, in my time they were the driven, more compassionate often intelligent classmates, choosing for a live of service and adventure. But when you want to convert, what makes you so sure that your God is the real one or that your hotline to the universal God is the only exclusive one? They are motivated, often very honest and concerned because of a strong believe that only their followers will reach paradise, all others are doomed to burn in hell. One could sympathise with Bayan Muna analysis that the house, rotten to the core, infested by termites everywhere, even with their solutions that rebuilding it is better than trying to restore it. But they fail in developing a feasible strategy and engaging tactics. What to do with inequality here? Inequality and the pumping of wealth from the poor to the rich, shrinking the total pie in doing so. Shouldn’t we change to “evidence based medicine”? The least inequality is measured in the Scandinavian countries with high taxes and highly progressive taxes, high regulatory powers of the state, high national proud and cohesion. It seems to me that the liberal party – in following (advised by?) the US – has the opposite objectives, their approach will increase inequality and perpetuate poverty. Whatever, fighting corruption as the President does should be a first priority. Yes, being a partylist, Bayan Muna is funded by Philippine taxpayers. Another reason to abolish the pork. That money for the “medical mission” should given to the Department of Health so they can build hospitals or health centers in far flung areas. I think another reason of their decline popularity is that the public has noticed that they NEVER criticized NPA atrocities but ready to criticize any military operation (where were they when our marines were BEHEADED?) and with the current rift with China, Taiwan and Hong Kong, they are NEVER to be found (unless Akbayan does something) but are automatically in front of the US Embassy every Balikatan even if part of the Balikatan are medical missions and community building which is even partly funded by US taxpayers(maybe I should protest as a US taxpayer? LOL). I believe that as the economy improves, the public gets more educated and smart. The partylist system, esp like Bayan Muna will fade. After all, they need 1% of the vote to get one seat. If nobody votes for them, they will be forgotten in oblivion. The problem with the left leaning partylists are not the ones in “lower positions” but the ones in upper positions. They are no better than many current politicians. Ah, Catholic Church, yes, they are right-wing in regard to moral values. Sort of shadow Republican. The NPA has become more murderous as they have become more desperate to survive. So maybe that is causing regular people to disassociate with their ruthless ways. But Bayan Muna refuses to do that. Oblivion has a nice ring to it, now that you mention it. Maybe that should be the word of the day. Or year. Joe, if I am not mistaken Ted Cruz is a senator, not a congressman. Acch, right you are. Thanks for the catch. correction gentlemen,there is no such Ted Cruz who is a senator in the Philippines. Bayan Muna has evolved from the 1980s left leaning Bayan founded by then former senator Lorenzo Tanada (also known as the grand old man of Philippine politics) and former UP Student Council Chairman Leandro Alejandro (who was assassinated during Cory Aquino’s presidency). Both were respected, much admired, and perceived as principled and honorable men who were among those who led the fight against Marcos’ abusive government. Back then, to be associated with the likes of these two was to be seen as a nationalist and freedom fighter; what they have started was a left-wing movement more associated with the ideals of nationalism than communism. I had a chance to interview Alejandro for a student org publication when he was the UP Student Council Chairman and there and then, I felt his sincerity and commitment to organizing amd mobilizing the UP studentry to serve the greater national interests of the time. I was already out of UP when he died, but I went back and paid my respects as did many other former UP students, who perhaps saw in this man a noble and heroic part of our own selves. Sadly, the current crop of Bayan Muna leaders seem to have lost first an anchor, and eventually their way. There is not so much talk of love of country as there is of hatred for the establishment. The protests have become less of an expression of a people’s desire for freedom and equal rights but more a show of force and aggression. As such, their causes no longer inspire and instead repel the very people they claim to be fighting for. The incumbent Bayan Muna leadership and their colleagues from the left need to take pause and do some serious reflection (or have their heads examined as one other reader put it) for their own sake and more importantly for the country’s. A lookback at their roots and the brand of nationalism espoused by their founders might be a good starting point. And whoever is funding them should demand the same. Nationalism was a cause the Philippine Left deftly made use of, attracting many of the Filipino intelligentsia. But Tanada Sr nor Pepe Diokno were never Marxists. Back then, the US prized its military bases here in its geopolitical game vs Russia, and Marcos always used it as a bargaining tool. So it was justifiable to cry for the dismantling of the “US-Marcos dictatorship”. 2. A globalized economy made it more important to learn how to form alliances, join trade organizations, navigate the interconnected world trade instead of puffing one’s chest on how great and unique one’s cultural heritage is (on which nationalism is based). Patriotism, not nationalism is the way to go. It is based on values and beliefs, instead of just cultural heritage or ethnic roots. Nationalism can lead to a feeling of superiority and war. Nationalism is based on rivalry and resentment; patriotism is based on love of country. Nationalism can lead to an isolationism that do not tolerate others; patriotism is integrating with others, striving to become better while keeping your identity. Joe, maybe you can use this for an essay – the difference between nationalism vs patriotism. Good idea, Andrew. It is interesting, for all the energy invested in “sovereignty” and “nationalism”, the Philippines projects division and a weak sense of community, patriotic style. You have exactly pinpointed what I’ve been struggling to articulate, and I think I have it now. Well worth an article. Thanks. I see Andrew’s point. And my thanks for making the distinction between the two (nationalism and patriotism). I see the nationalism of Tanada and Alejandro as driven by love of country and desire for freedom which was denied the Filipino at the time, in part because of a foreign power that propped up the Marcos dictatorship, thus the anti-US stance. I would think that had it been China that was unduly influencing the affairs of the nation back then, Tanada and Alejandro would still have been at the forefront of the fight for freedom. That is what I meant about those two men’s brand of nationalism. At the moment, the threat to Philippine sovereignty comes from China and have we heard so much as a cry of protest from Bayan Muna’s leadership? Wouldn’t this be as good a time as any to bring forth the seemingly dormant nationalist sentiments of Casino, Reyes et. al. ? Thanks for the background and for confirming that the current bunch are negative toward unity. Andrew also beat me to the punch on pointing out that promoting division is a strange way to be nationalistic. Are they really Communists/Leftists? Billy Esposo wrote something about CPP, google “whose-maoists-are-our-so-called-maoists”. Right after WWII, the Huks continued to exist and became popular for peasants. These are poor peasants who’s only after alleviation of their condition. They were tagged as “Communists” to make Ramon Magsaysay a hero (films were created to show Magsaysay liberating a village against Huks). Allegedly these are just movies filmed on the directions of certain Lansdale. The Huks were infiltrated by Army operatives to commit atrocities among the populace. This is according to Sterling Seagrave (Gold Warriors). Maybe, the remnants of Huks + infiltrators are what we now know as CPP. They all seem cut of the same cloth to me, a seemingly destructionist bent that has them up and criticizing the established government no matter what they do, for the sake of some haloed crowd called “workers” or “laborers”. Any thing foreign they don’t like, and anything commercial and big they don’t like, for they got big by making profits. I’m guessing that if you asked where they would get the money to improve the livelihood of the workers, they’d have no real idea. Profit is bad. I’ve read about the Huks in a cursory way but not enough to really understand the players and motivations. I recognize that this article was not about the NPA but they seemed to lurk on the periphery of the subject. I wonder what their real status is. From the headlines and items in the media it would seem that they are more extortionists and kidnappers than a political party. And yet I’ve heard anecdotes that in some areas neglected or poorly served by the central government the NPA constitutes a primary or at least secondary de facto local government presence, punishing corruption and criminal activities, seeing that those who prevail unjustly through wealth or influence in the official courts or simply through local official indifference or partiality receive a “people’s justice”. Our diminutive maid, the most crucial person in our household, went back suddenly to her home in the provinces because her carabao and calf were stolen. I thought it was a pointless exercise but she seemed determined that she would get them back. When she returned home after a brief absence, during which she was sorely missed, she was uncharacteristically restrained in her conversations about what happened. What we pieced together was that when she arrived at her home the local authorities were indifferent to her situation and declined to do anything. We’ll never know exactly what happened but shortly after that she learned where the animals were and retrieved them. The implication was that members of the NPA or perhaps only someone who had connections with the NPA had intervened and motivated someone else to tell her the location of the animals and that the one who was holding them was aware that it was in his best interest to release them posthaste. We’ve wondered about the possibility that he simply disappeared. From subtle indications we deduced that he would not have been greatly missed by his neighbors. Like many Filipino stories this one is filled with gaps and ambiguities but it suggests that the media is not presenting the whole picture. As with most things in the Philippines I suspect that both views, Robin Hoods vs extortionists, are valid, at least in part. Until the sort of rampant corruption that has been exposed recently is prosecuted and punished and eradicated from the supposedly legitimate government it is hard to defend that government against the communist claim that the only way to correct the injustices is to overthrow it. As someone commented earlier, the elimination of corruption must be the highest priority. And even if the central government is purged and integrity restored, it seems there may be a justification for the continued existence of the NPA in remote parts of the nation in the absence of an effective government presence there. I’d like to hear opinions from those who have more insight into the realities of the situation. Me, too. Indeed, if you don’t mind, I’d like to take your comment and put it up front in a fresh blog, as the main content. The older blogs sometimes don’t draw so much discussion. My own experience with the NPA is decidedly negative (object of extortion attempt), so that shapes my view. But there is a real-world view that you mention, framed by the corruption and ineffectiveness of government, that warrants comment. My impression, formed with no objective knowledge, is that the NPA and the so-called Islamic rebel groups in Mindanao have something in common. Both began as a core of dedicated, highly motivated individuals seeking a worthy goal and both have deteriorated into bands of common outlaws. I’m thinking in part about the “purges” within the NPA of suspected informers, analogous to the paranoia and abuses of the Marcos regime. (The record of the Islamic terrorist groups, at least as reported in the print media, speaks for itself.) I’m sure there are exceptions to this impression but my life experience leads me to believe that in any endeavor, no matter how noble, resorting to unworthy means to achieve the end, as resorting to violence, coercion and intimidation to achieve more equitable government, dooms any chance of success. Contrary to the old adage, the end does not justify the means, the end is determined by the means. So, while I hear stories about a beneficent NPA I’m inclined to believe that these are either folk tales or isolated phenomena, not as representative of the usual situation. I think, in the local communities, NPA are rather like US city gangs, controlling a turf. People know them, and know they can’t be crossed. Occasionally a gang or member will do something constructive, or in some areas, they may actually be considered “friendly” to the local town or a lot of the residents. But as far as political objective? None. Extortion is basically a way to make good money Yes, the Muslim and NPA gangsters have become pretty much the same destructive bunch of rabblerousers. And the common cause across both groups is poverty.